The 14.2ha site was put up for auction in May but didn't sell and remains on the market. Protesters are continuing to fight the State Government after their petition, which had more than 1700 signatures in two weeks, was tabled in parliament. Campaign co-ordinator Lynda Ninness said she wanted to show the huge community support with real faces, not just letters on paper. "The sale of this land needs to be stopped. Calliope is in need of a high school; we are a growing community," she said. "More than 250 kids are currently bussing it in and out of town every day," she said. 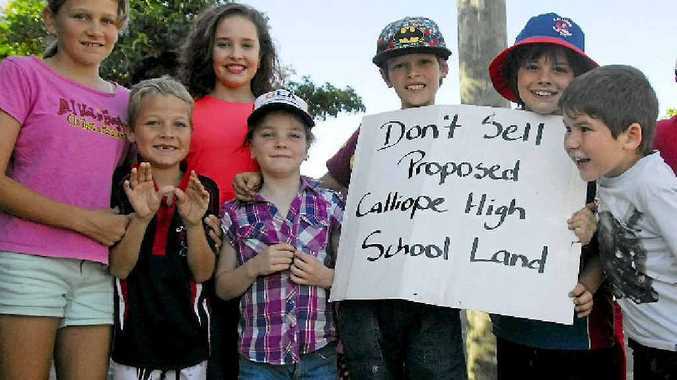 Mrs Ninness said the demand for a new high school wasn't just in Calliope, but for students in neighbouring towns in the Boyne Valley. Boyne Valley resident Mary Marriage said a high school in Calliope was crucial for the future smaller towns around the region. 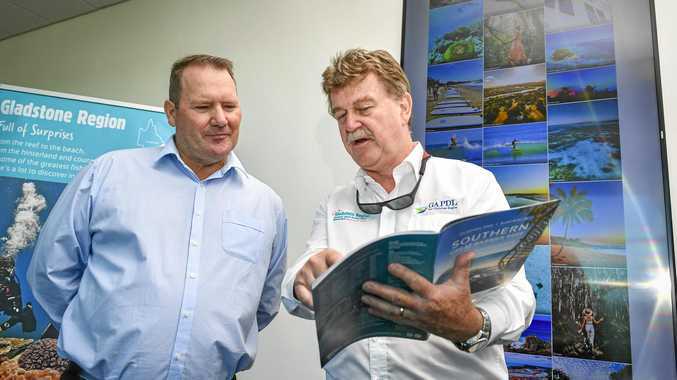 "Kids are currently travelling great distances into Gladstone, Tannum Sands or to Monto and when it floods they can't get to school," she said. "More and more people want to move to the Boyne Valley and more would if there was another option for sending their kids to high school."